Today our Cardboard Construction Engineers made a bunch of creative, fun items. 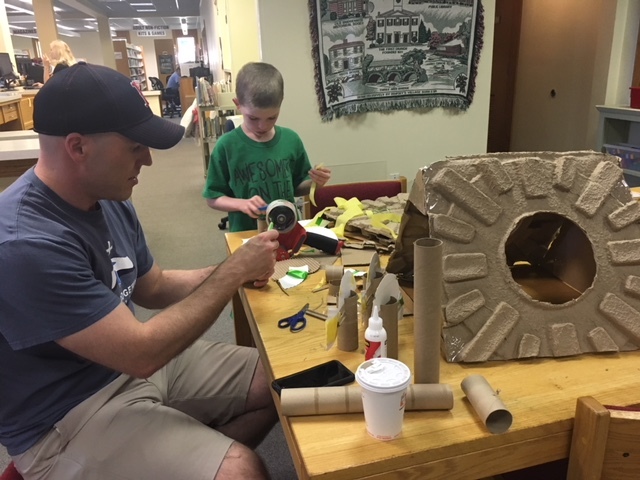 A cat cave, a throwing game and a Star Wars world were all created using recycled cardboard found here at the library. 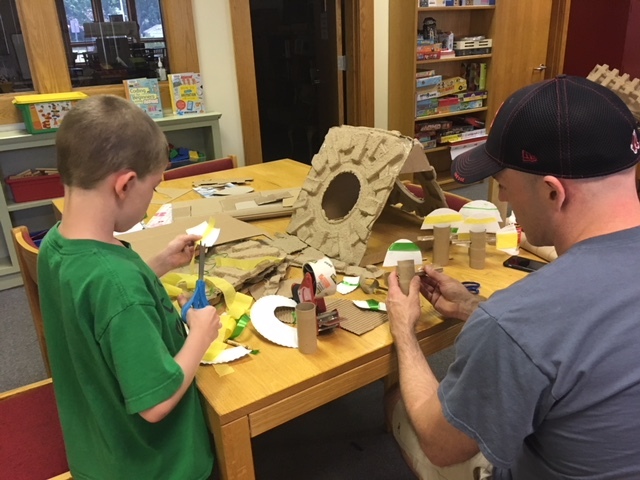 What could you make using cardboard found at home? Send us your pictures and we will post them to this entry!